Viknesh Vijayenthiran September 18, 2018 Comment Now! The battle for electric car supremacy is starting to really heat up now that established automakers are joining the fray. 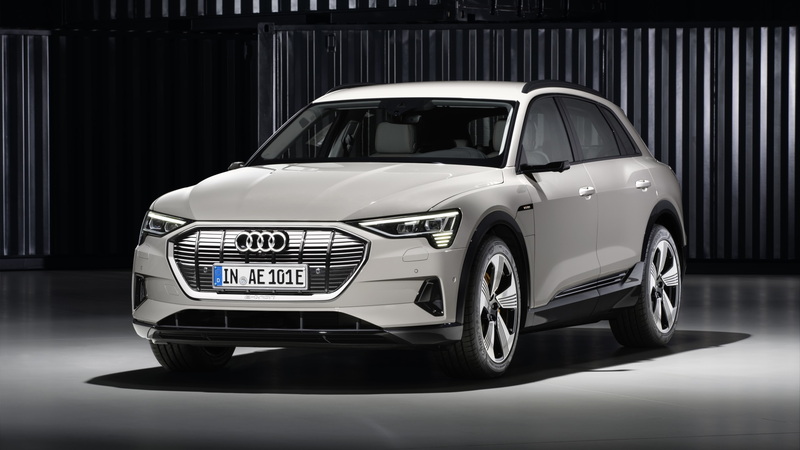 The latest salvo was launched by Audi in the form of the 2019 e-tron, a mid-size SUV with a big 95-kilowatt-hour lithium-ion battery and a very reasonable $75,795 sticker price. 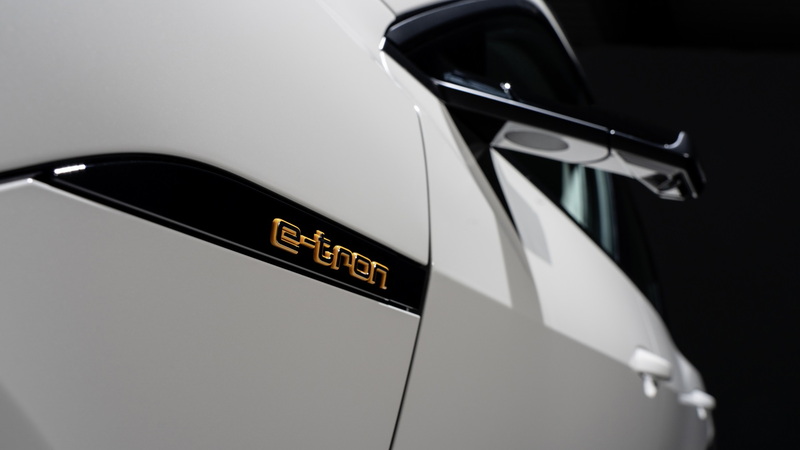 The e-tron was unveiled late Monday in San Francisco and is due in showrooms in the second quarter of 2019. There's already an online reservation system set up if you'd like to be one of the first to take delivery. The first 999 examples will be a pricey First Edition starting at $87,695. All prices include destination and we'll remind you that the e-tron is eligible for the full $7,500 federal income-tax credit and various state incentives. Prime competition include the Tesla Model X already on sale as well as the Jaguar I-Pace due in showrooms late this year and the Mercedes-Benz EQC due in 2020. BMW is also reading an electric X3 for launch in 2020. Audi isn't ready to give a range estimate and will likely wait until the EPA completes its testing but the automaker has previously hinted at something approaching 250 miles on a single charge. That's reasonable given the I-Pace with its 90-kwh battery is promised with about 240 miles. The e-tron's battery alone weighs 1,543 pounds and is stored in the floor, creating a low center of gravity. It has a nominal 396-voltage rating and can handle up to 150 kilowatts of fast-charging. At this rate, Audi says an 80-percent charge can be delivered in around 30 minutes at a public fast-charging station. Charging can also be done on the go during coasting and braking. To provide a charging network, Audi is teaming up with Electrify America which by July 2019 will have nearly 500 fast-charging sites throughout 40 states and 17 metro areas. 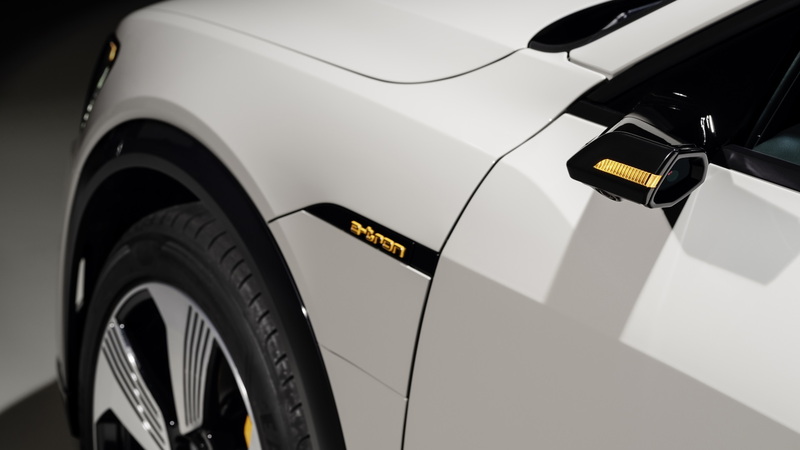 As a special deal, e-tron buyers will receive 1,000 kWh of charging at Electrify America sites over four years of ownership. Audi is also yet to confirm U.S. specs for the powertrain but we know the e-tron will offer roughly 400 horsepower and 490 pound-feet of torque from a pair of electric motors, one at each axle. However, this will be a peak rating lasting for a limited period. Think of it as something like an overboost function. Normally, the e-tron will operate in rear-wheel-drive mode, with the front motor only adding power when needed. Audi says the e-tron will accelerate from 0-60 mph in 5.5 seconds and hit a top speed of 124 mph. And when properly equipped, the vehicle will also be able to tow 4,000 pounds. When developing the Audi e-tron, the exterior designers worked in close collaboration with the aerodynamics experts. 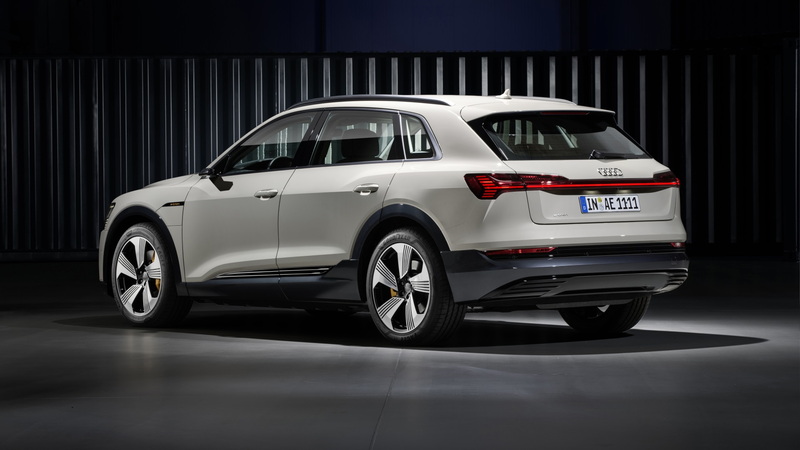 The result of this attention to aero is an array of high-tech efficiency solutions, such as the regulated cooling air inlet with ducts for cooling the front brakes and the adaptive, speed-dependent air suspension that is standard on the e-tron. The wheels, which measure 20 inches as standard, are also aerodynamically optimized. Sadly, though, the U.S market misses out on the cool digital side mirrors which use cameras instead of actual mirrors. This is due to local regulations but Audi and other automakers are working to change this. 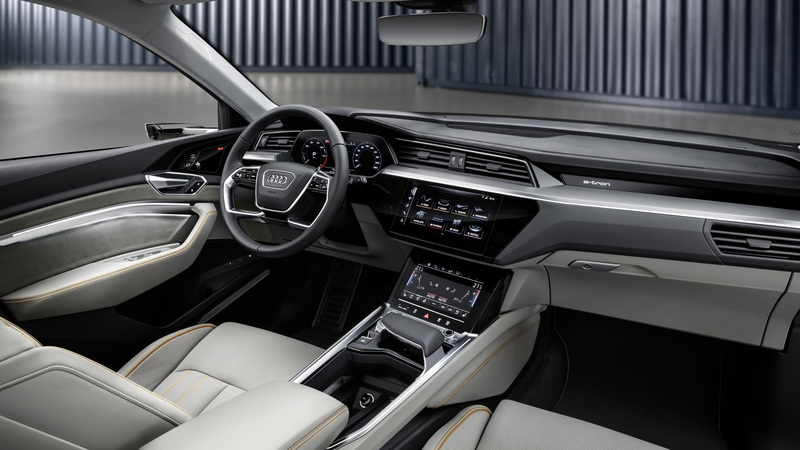 The interior follows the latest Audi design trend. For small and mid-size models, this means a pair of digital displays, one serving as the instrument cluster and the other as the infotainment hub. Natural speak voice activation is also featured and then there is the long list of electronic driver aids. This includes a self-steering parking aid and a 360-degree camera system with centimeter-precision maneuvering. The arrival of the e-tron is a major milestone for Audi as it marks the start of a massive transformation of the automaker's lineup toward electrified cars. Audi aims to deliver 800,000 electrified cars annually by 2025. To put that into perspective, the automaker delivered 1,878,100 cars in total in 2017. To reach its goal, Audi plans to offer an electrified version of every vehicle in its lineup by the 2025 date. And most of the electrified cars will be pure electrics, with a smaller proportion as plug-in hybrids. Beyond the e-tron, Audi will introduce two more electric cars by 2020. One will be a more coupe-like version of the e-tron and the other is expected to be an electric compact car, possibly based on the A3. A high-performance e-tron GT sedan and two small SUVs are expected to follow early next decade.